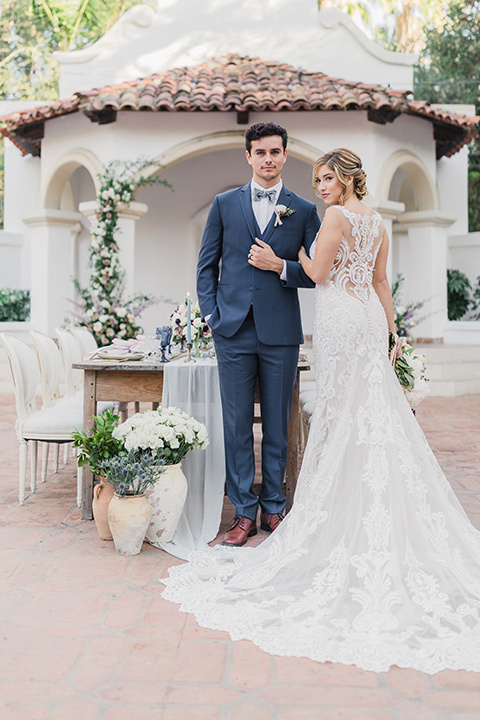 A lace bridal gown and a dark blue suit for the groom, that's the recipe for wedding success right there. 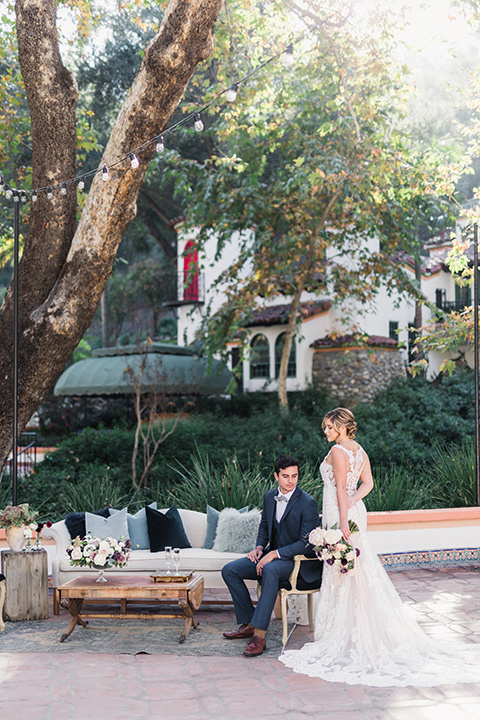 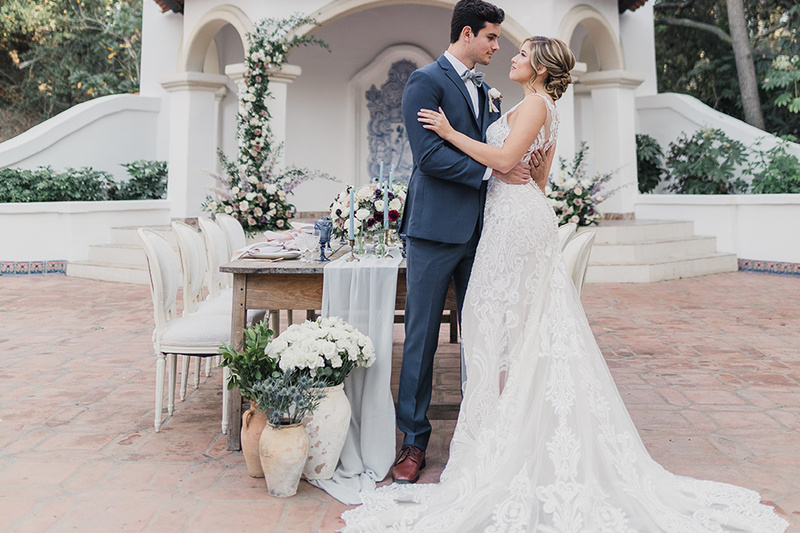 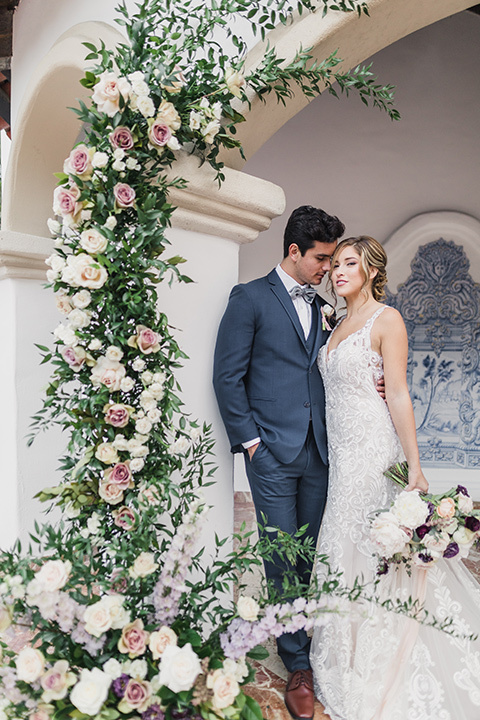 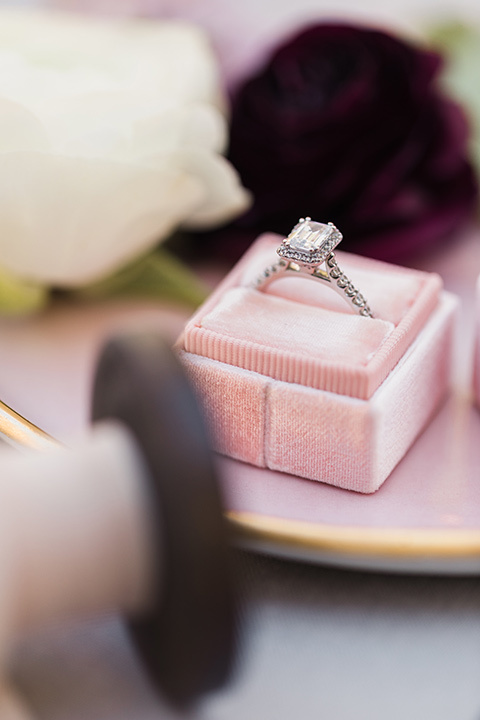 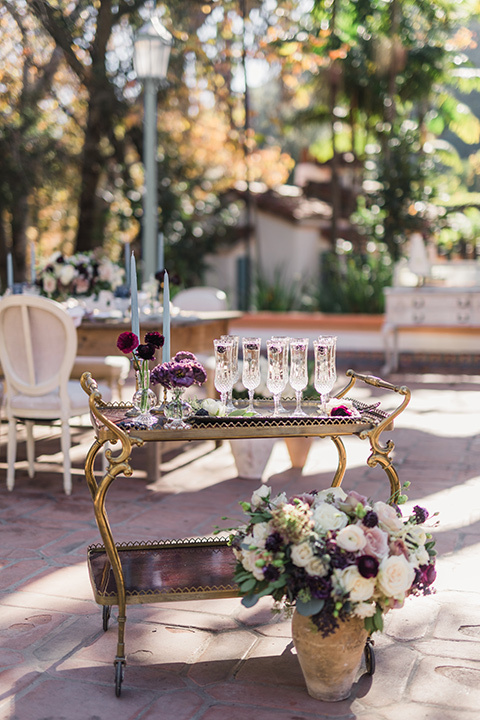 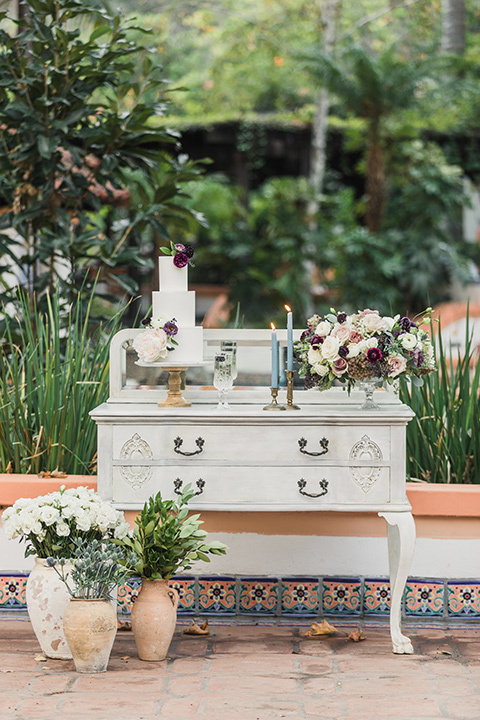 When Details Details Weddings & Events partnered up with Lin & Jirsa photography to create a totally romantic wedding at Rancho Las Lomas, we knew it was going to be a looker. 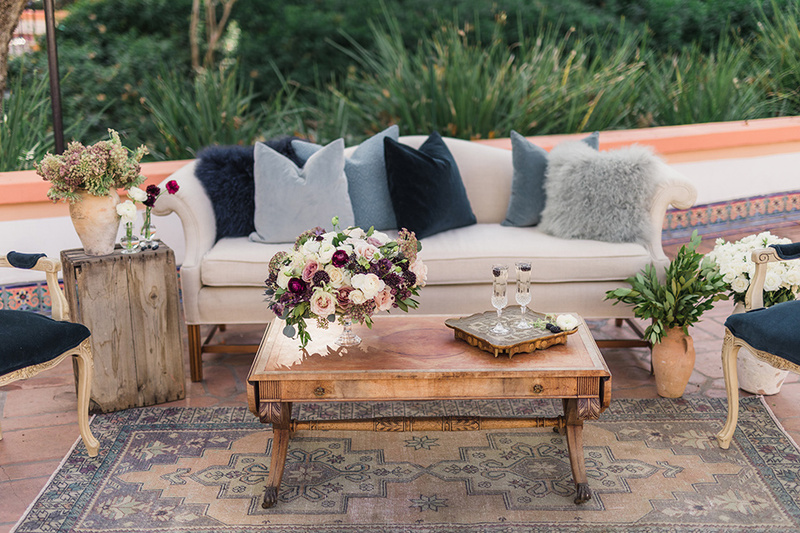 The mixture of textures with rustic wood tables, clay pots, velvet pillows, velvet bow tie (you're welcome), and a chiffon table runner, this is how you make a wedding look chic. 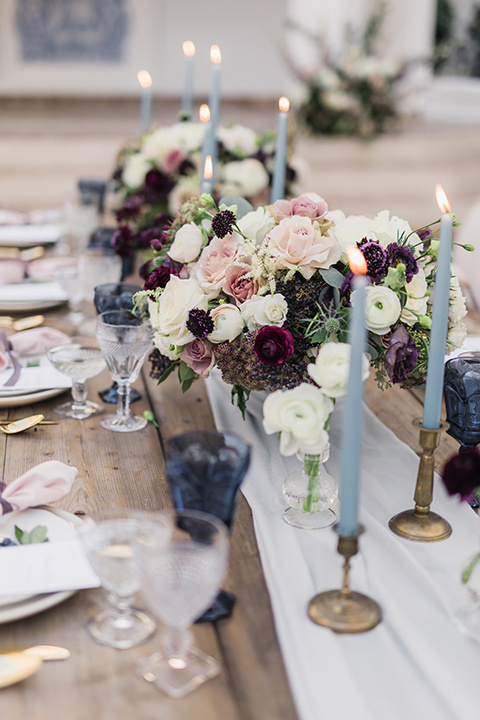 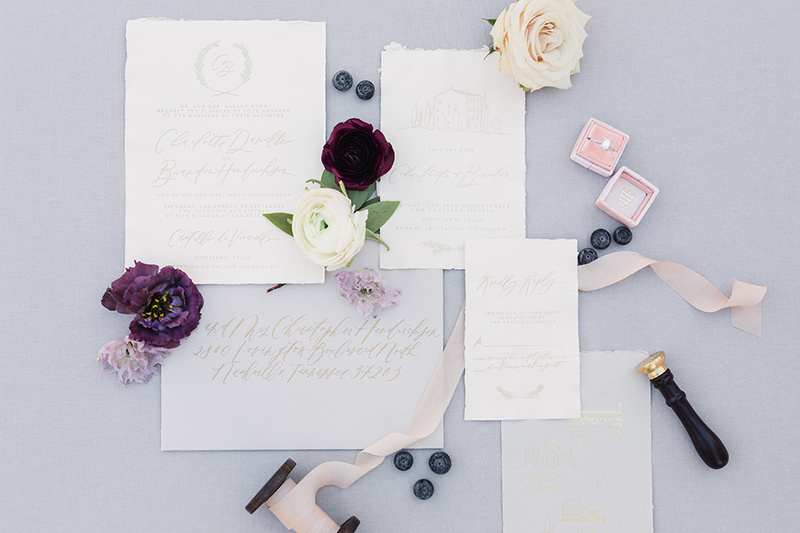 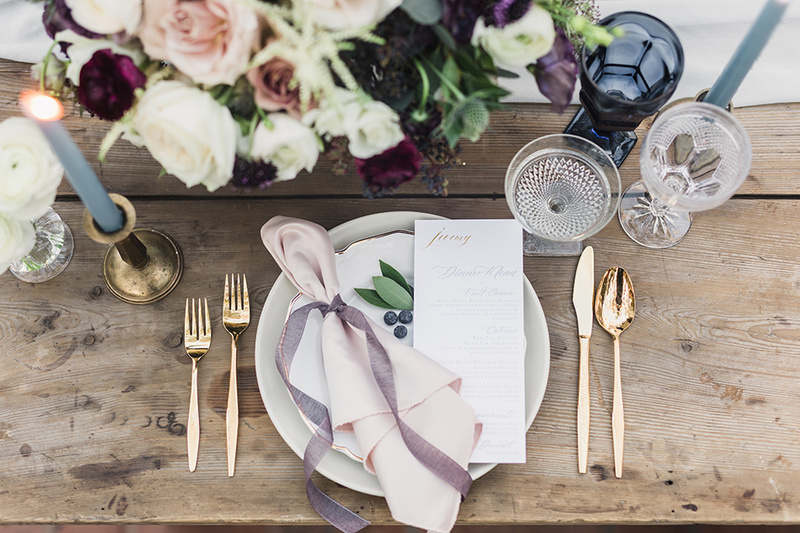 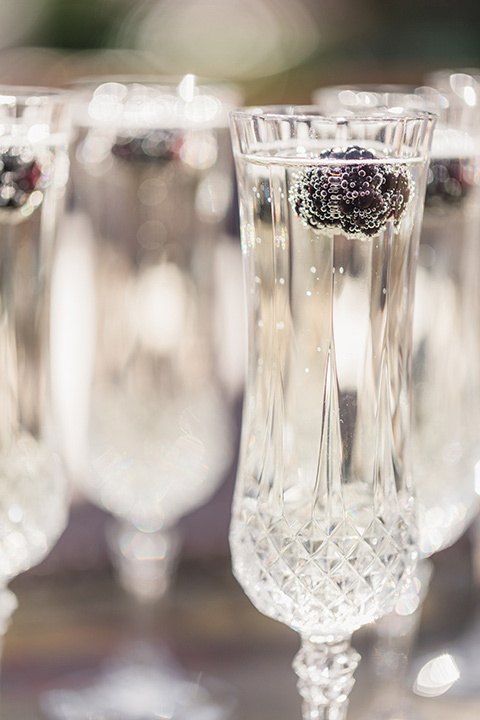 The dusty blue and berry tones can really be done year round but fit particularly well for a fall, winter or spring weddings. 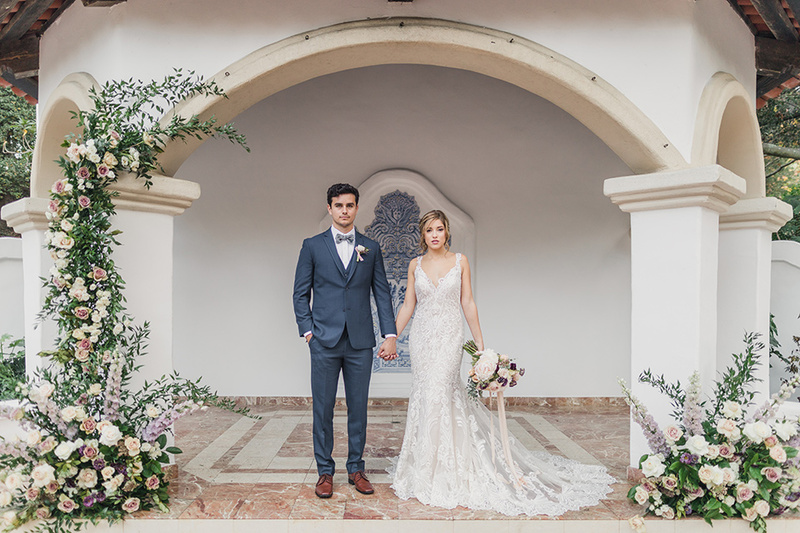 In line with the cool tones of the wedding theme, we chose the dark blue Ike Behar suit which is one of our most popular wedding suits for grooms. 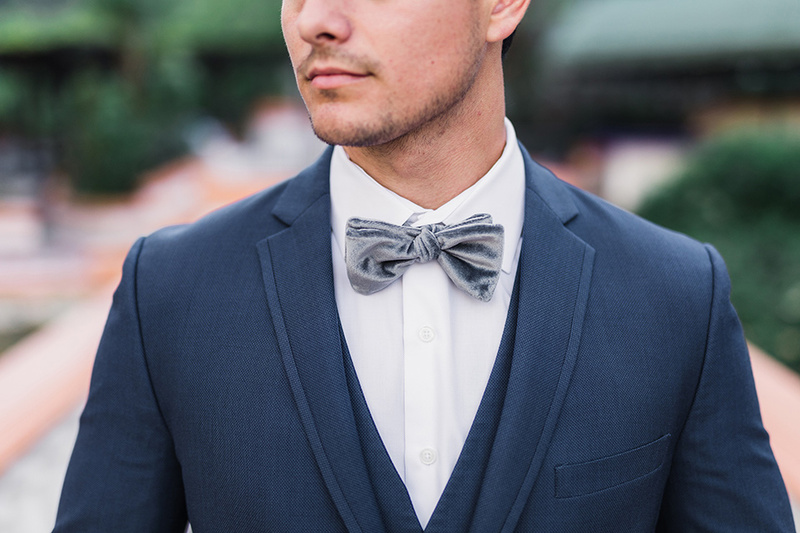 We prefer to style blue suits with brown shoes and as for a tie, you really have a lot of flexibility but a medium grey velvet bow tie worked great to fit the vibe of this design. 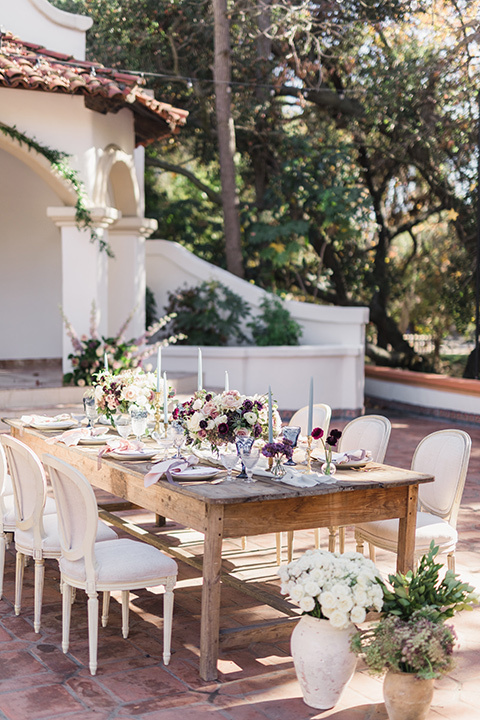 Hope this gives you lots of ideas on how to create a romantic outdoor wedding with vintage touches. 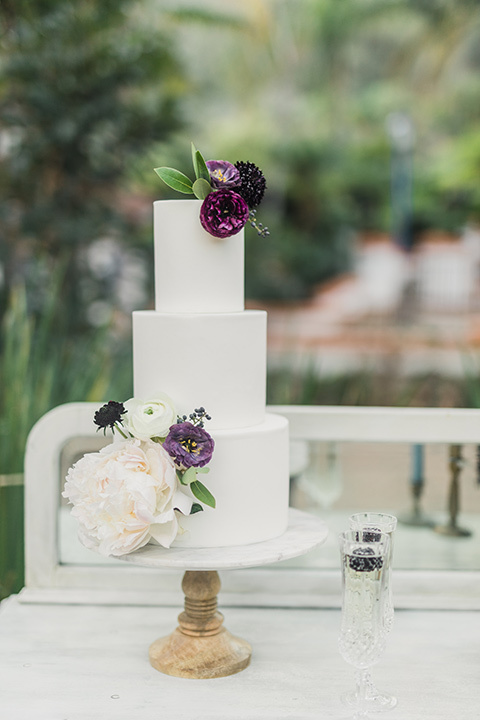 Florist: Peonies and Petals Wedding Florals | Rentals: Cherished Rentals | Specialty Rentals: Sweet Salvage Vintage Rentals | Hair + Makeup: Vanity Belle | Wedding Gown Salon: Mon Amie | Wedding Gown Designer: Eddie K | Cake: Sweetlee Made | Shoes: Bella Belle | Stationary: Seniman Calligraphy | Ring Box: The Mrs. 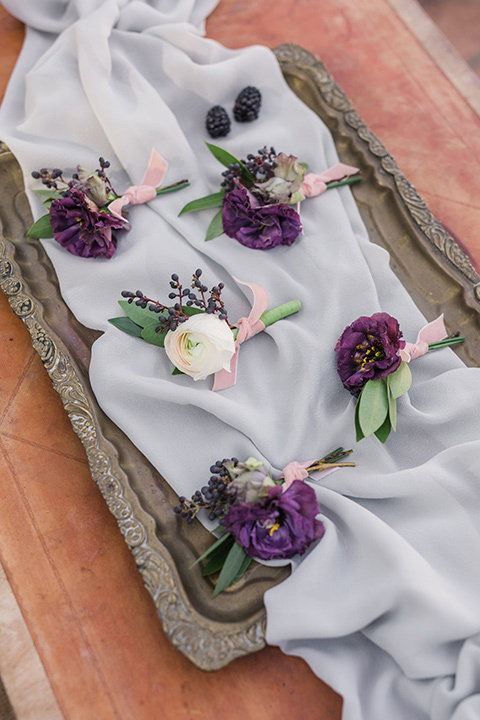 Box | Wax Seal: Artisaire | Ribbon: Silk & Willow | Runner: Tono + Co. | Napkins: Wildflower Linen.